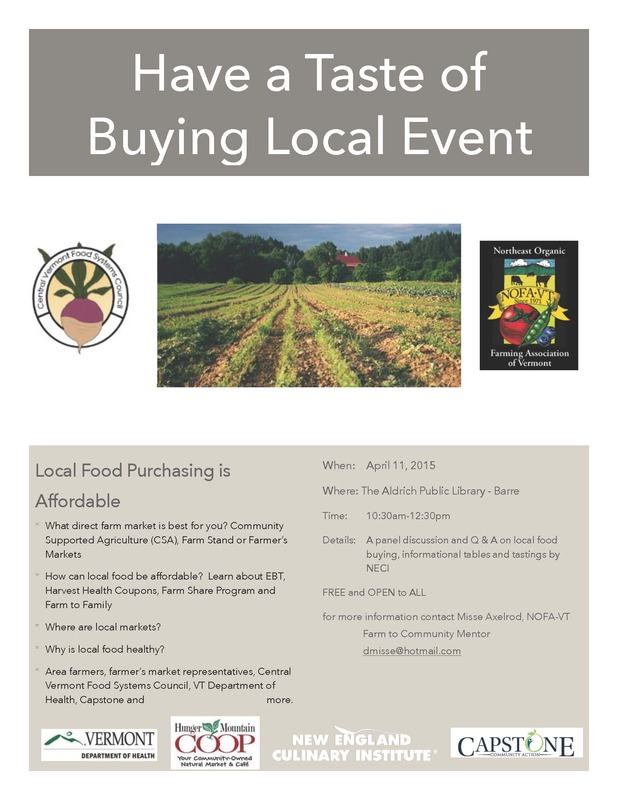 If you’ve ever been interested in buying more of your food from local vendors, join us on April 11 in Barre for our Have a Taste of Buying Local event. In partnership with the Northeast Organic Farming Association of Vermont, the event will include information about Community Supported Agriculture, food stands, and farmers markets, as well as the opportunity to ask questions! Come learn about how to maximize your local buying power and enjoy local tastings provided by NECI. We hope to see you there!